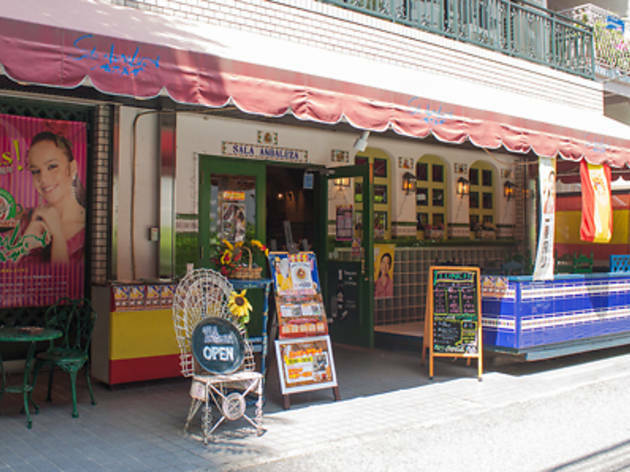 This Spanish restaurant might be hidden down an Ebisu side street, but it's worth seeking out for its delightful dishes and charming atmosphere. Messages and signatures from visiting Flamenco dancers cover the walls, and in the evenings you can sample authentic Spanish cuisine while watching live Flamenco. 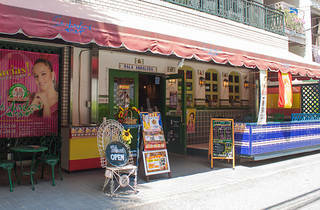 For lunch, you can get a paella set and all the usual greenery from the salad bar for an affordable ¥850. In the evening, take a seat on the terrace and sip sangria while nibbling on the shrimp ajillo and enjoying the cooling breezes. If watching the dancers do their things makes you want to get involved, then head to the Flamenco speciality shop on the fourth floor, where you can find all kinds of Flamenco goods from shoes and clothing to accessories and knickknacks.